I am the type of person that loves coming up with new ideas. I have always dreamed of having my own work-from-home business that would make a little side money for me and my family, but more importantly give me an outlet to do other things and exercise my brain. I loved school - the books, the learning, even the satisfaction of studying and acing (ok, not always acing) a test. I miss that! I miss the feeling of my brain expanding and having that feeling of intelligence flowing into my soul. Cheesy? Yes. Weird? Perhaps. But, it is true. 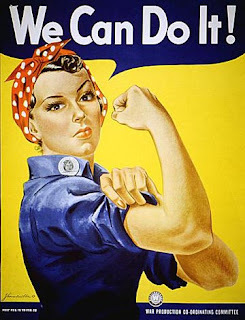 Plus, I really liked the whole "We can do it" frame of mind. So, after I got married and popped out my first little boy, TJ, I sat down and brainstormed with my husband, Mr. H, on what I could do with all the free time I had. Mr. H was convinced that I didn't have enough time on my hands to actually do anything major but was supportive of my endeavors. At that time, I didn't have a whole ton going on other than taking care of my one child who slept a good portion of the day. I had my trips to the gym and the occasional playgroups but nothing that was really all that stimulating. One day while I was making some baby food for TJ. 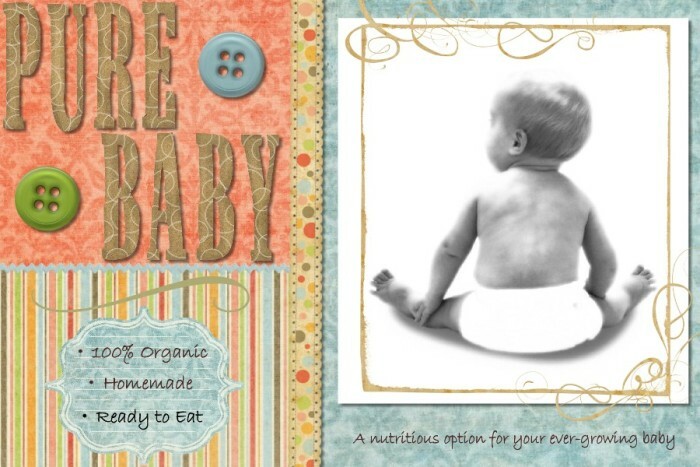 I realized that I could maybe, possibly make more and sell it to other moms who wanted their babies to eat healthy, mommy-made baby food. I used all organic products and figured that there had to be other moms out there that might not have time to do it like I did. So, I asked around, sent out a few emails and was happily surprised to get some good feedback and a lot of interest in the idea. I started making baby food as fast as I could. I froze the baby food in ice cube trays and hand delivered them. I found myself traveling to several cities across the Phoenix valley. I was so happy! I then created my Pure Baby blog. Shortly after, I found out I was prego again with baby boy number 2, Bubba. The baby food making when on hiatus while I dealt with the delightful side effects of harboring a wee one in my womb. After Bubba was born, I got back on the baby food kick again. It went well for a while but I wasn't in touch with as many mommies who were in need of baby food. I started brainstorming again and thought I'd expand from baby food and make purees that people could use in their recipes to help increase the healthy side of cooking and baking. I then created my For Health's Sake blog. I really felt like I was helping others to see the need for more fruits and vegetables in their own as well as their kids diets. 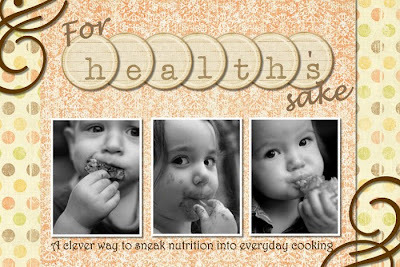 I know it really helped my kids so that they eat pretty much whatever I put in front of them. Sadly, the day came when it just didn't make sense anymore for me to be working away in the kitchen all day while I had two little munchkins who were eagerly awaiting my attention. This was also about the time that I went to a training on how to paint using the computer. I learned everything from A to Z about painting using a wacom tablet and a "paintbrush" pen. I spent days and weeks studying and memorizing the different art programs that I needed to use. That clued me in to the fact that learning definitely gets harder as you age! Ha! It took me twice as long to memorize things as it did when I was in college. After I learned this new skill, I decided to put away my pots, pans and ice cube trays and start working on perfecting my art. From one idea birthed several ideas. Now, while I do make purees for my cooking and baby food for our newest little addition, Princess D, I pretty much stick to working on my Picture To Portrait projects. It is so nice to have one big project that I can then spin off into many different projects.